It is that time of year once more. The date that every football fan marks down on their calendar. The biggest rivalry, the most heated confrontation in world football. A derby that is ferociously fought between the two sets of supporters, fanatical in their support of their beloved. You could be thinking that I am referring to the Old Firm, perhaps? Or how about The Intercontinental Derby (Fenebache and Galatasaray), or even El Clásico? Well, actually none of the previously mentioned or any actual football derby in world football. I am, of course, talking about the FIFA v.s. PES derby. 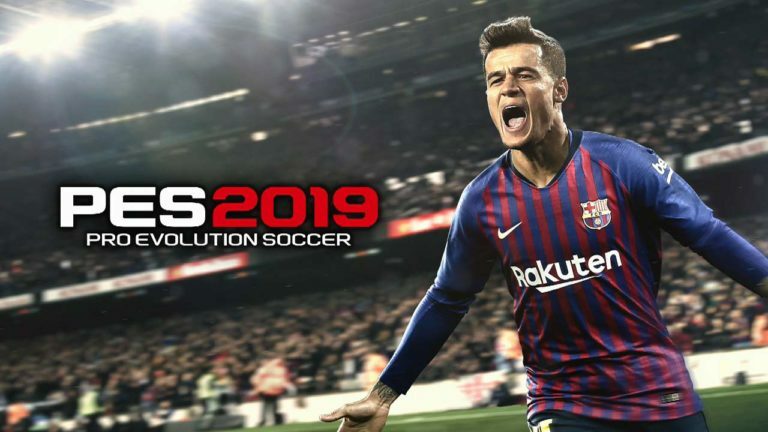 It is PES that has struck an early goal in this year’s contest as it’s practically out a full month before EA’s behemoth. Does this early goal put PES 2019 in the lead, or is it an embarrassing own goal? The answer is actually not that easy to provide this year. Let’s start straight off the bat. When PES 2019 looks good, man does it look good! The clubs who have a working partnership with Konami are the highlights here. Liverpool’s players and Anfield Stadium all look, sound and feel like the real thing and that, of course, is the same for PES’ main partner, Barcelona. These two clubs prove that Konami, when they put all their efforts into it, can make such a spectacle! Playing in the Camp Nou or Anfield, you really do have to take a second to realise you are actually playing a video game and not watching a real match. The other authentic stadiums all look great but lack a bit of the finishing touches that the latter two have. If you are a Liverpool or Barca fan, you are really in for something special here. 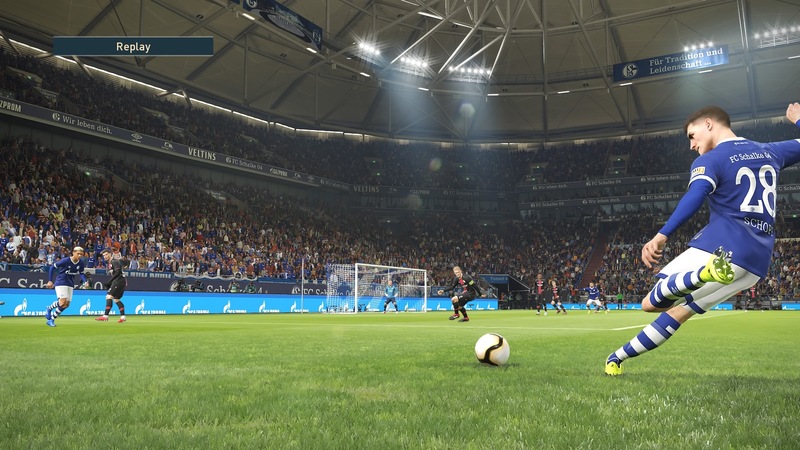 Konami has also changed the lighting in PES 2019, and my god, doesn’t it make the stadiums just absolutely stunning? Anfield at night or Schalke’s Veltins Arena (a new addition to PES 2019) during a bright and sunny day all are breathtaking. The unfortunate consequence here is that as good as the authentic clubs look and feel, the unlicensed and generic stadiums look dreadful by comparison. The generic stadiums themselves don’t actually look bad, and I still prefer these to FIFA’s generic ones, but they just completely lack any sort of atmosphere. This is something PES will never be able to fix, they simply cannot compete with FIFA in terms of licenses and authentic clubs etc. 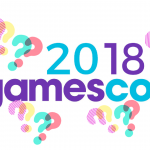 This year though, PES 2019 does have seven new leagues (SPL, Turkish, Russian, Swiss, Danish, Belgian, Argentinian and Portuguese), which is a real statement of intent, but unfortunately, the new leagues aren’t the most popular, and only fans of them will really take any notice. The inclusion of the SPL has to be the highlight here (I may be biased here as a fan of Celtic), but being able to play an officially licensed and authentic Old Firm derby is an exciting prospect, especially when the DLC including Ibrox and Paradise (Celtic Park) is released in the next month or so. Players themselves look super realistic, well, most of the time. The official partners of PES obviously are the highlights here as the whole squad looks fantastic. The real-life looking players from other clubs look great 85% of the time, and I can’t imagine too many players complaining about their looks on social media, but there are a few exceptions, obviously, where the likeness is sort of there but looks laughable. Another issue PES has had to deal with this year was a serious blow to them and the fans of the series: the loss of the Champions League. UEFA’s top competition was a mainstay with PES for 10 years and was a great way to try and entice players away from FIFA. In its place now is just a generic competition that FIFA players have had to deal with since forever. The ‘Champions Cup’ in PES is actually a lot better than what used to grace FIFA; however, there is a bit more atmosphere than EA’s attempt, but it’s still a huge loss for Konami. With the loss of the Champions League, you might have thought Konami would have added some new features to gameplay modes? Well, you’d be wrong. Master League and myClub are pretty much untouched from last year’s effort. The age-old ‘if it isn’t broken, don’t fix it’ mentality would have been fine if Konami managed to hang onto the Champions league, but with Konami losing out, I was really hoping for some new features in the two main modes on PES, especially after EA has announced all the neat little new features coming to FIFA this year. Master League is still a lot of fun to play, however, even with nothing new of worth added to it. 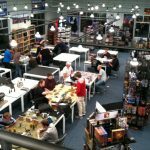 It is vital that when starting a new career in Master League that you choose the challenge option. This makes it a bit more realistic in terms of transfers and your players also wanting to leave the club. The only addition to Master League this year is the inclusion of the International Cup, a pre-season tournament that, in fairness, has garnered a lot more attention of the last couple of years but offers no real purpose. MyClub is practically the same as previous efforts and really pales in comparison to FIFA’s Ultimate Team. In PES 2019 the new leading ‘feature’ included in myClub this year is the ability to sign duplicates of the same player. Once you have three of the same player, you can then trade all three in for a more powerful version. Bit strange, I know, and I am dreading the inevitable when I come up against Super Ronaldo and Uber Messi. Another new aspect is the featured players, basically, players that have had a good week in the real world that are up for grabs, all chosen by Konami. Another aspect Konami have neglected to change is something vital and something they should have really looked into, which is the menus! They still look like something from the PS2 era and are just horrible to look at. It seems strange moaning about a video game’s menu, but because you spend a bit more time looking at menus of a football game than you would another type of game, it is a criticism that’s justified. They are easy enough to navigate, but they just look awful. Speaking of awful, the commentary is another thing that hasn’t been touched from last year’s effort, which any returning players will know is not a good thing. Thankfully, you can just shut Jim Beglin and Peter Drury up, and you will not miss the same old dozen or so soundbites they produce. It may seem like that PES 2019 is doomed to failure, right? I mean, there are a few negatives up there in this review, but dear readers, we have saved the real praise for last. For all of PES’ faults, the actual game of football you’ll play is second to none. It truly is an incredible experience, and a lot of the time while playing a match, you will simply forget it is ‘Manchester Red’ on the pitch and not Manchester United. 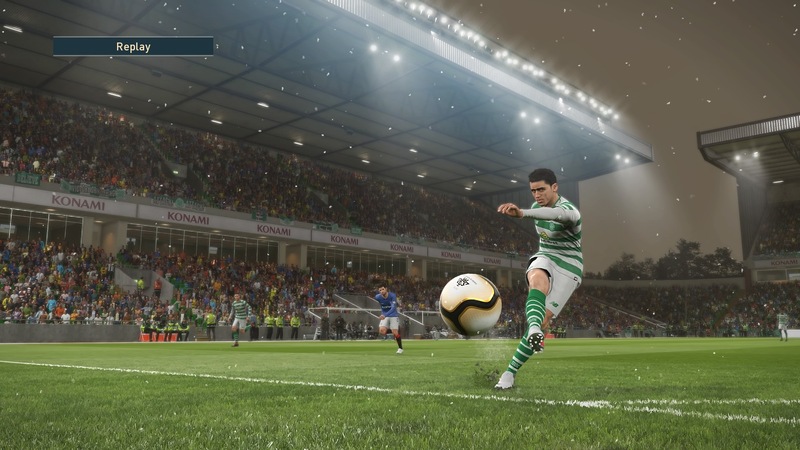 The football just feels real, from the way the ball bobbles along the turf to the realistic way players will control a ball from a smashed cross-field bullet of a pass. The football here isn’t that fast and frantic, score as quick as you can gameplay you’ll find in FIFA. Football in PES is slow, methodical and tactical. You have to wait for openings, work the ball cleverly up the field, and even if you do all those things, just like football in the real world, mistakes are made, and then you are left sprinting back towards your goal to try and stop the opposition. Player animations look stunning. Smashing in a cross from the left wing, it really does look like the players have put their all in kicking the ball. Goalkeepers will spring into life just at the right moment, just like their real-life counterparts. They are still far from perfect and often make mistakes not even the likes of Lorius Karis would make, but this isn’t something exclusive to PES. However, mistakes are just part of football, and when mistakes happen in PES, you don’t often start screaming at the TV like you would with FIFA. Just like everything about the gameplay, they just feel natural. A missed controlled pass, a poorly timed shot and a keeper that should have kept hold of a ball but instead hits it straight at an opposition striker all happen week in, week out in leagues all over the world, so they have to happen in a video game of the sport. You can score some truly beautiful goals in this year’s PES, and a wide variety of them. Whether it be a 30+ passing move to practically walk the ball into the net or smashing a rocket from outside the box, every amazing goal you can think of from the beautiful game is possible in PES, but you have to work for it. An outside the box rocket will only come off once, maybe twice, from dozens of shots and only if the players themselves are capable of doing so. Messi and Ronaldo, yes. James Chester? Not really. Headed goals have been somewhat taken back in PES 2019 as last year’s effort from Konami was a bit too easy to score from a cross. This year when you score a header from a cross, it truly feels special, again, just like in the real game. The team instructions also really do help teams feel different from one another. Liverpool will play at breakneck speed, and when they lose the ball, they will have four or five players surrounding the opposition trying to win it back, of course, leaving you open for a counter-attack. Barca’s players are all so close together, passing their way up the pitch, waiting for the likes of Messi or Suarez to run behind a helpless defender. All of these options are customisable so you can make any team play like Barca, Liverpool or any way you like. The options available aren’t as detailed as Football Manager, but they really do help give teams a separate identity. The actual game of football in PES 2019 simply feels real. That is the biggest compliment a sports sim could have, that the game they are replicating truly feels like the real thing, and it really does in this year's effort from Konami. There are still the usual struggles: the menu, presentation, sound, and the loss of the Champions League is a huge blow, but when the actual game of football is this good, you can simply look past these problems and just spend as much time on the pitch as you can.